Couldn't Rand's purpose be to explain concepts at the logical level and not a psychological level? Objectivists might argue that she wasn't interested in how the mind managed to do what it does, but to show the proper way to use concepts to make sure they refer to reality. Much like Aristotle's logic was not a description of how our brains handled statements involving "AND", "OR", "FOR ALL", "FOR EACH", etc.. Instead Aristotle wanted to show the proper way to combine facts to reach proper inferences. So maybe Rand was trying to explain concepts in the same way, ignoring how the brain does these things?? I've heard some Objectivists explain it that way, but as you say it's hard to reconcile with Rand's statements about how children and animals think. As another example, her discussion of how conjunctions are allegedly formed (pp. 37-38) is quite hard to follow. I will no longer address myself to the authors of this blog, but to their audience. This post is yet another in a series of posts that not only misrepresents Ayn Rand's views about psychology, but MAINSTREAM PSYCHOLOGY's views about psychology. If you think you are getting inside information from authors who are schooled in the latest consensus views about concept formation, etc., think again. The prototype theory of concepts is one among many, many theories of concepts developed by cognitive psychologists in the last thirty years. There's the prototype view, the exemplar view, the theory-theory view, the atomistic view, and numerous hybrids of all of these. Most of the major alternatives were sketched by the 1980s, but since then psychologists generally agree that none of the major alternatives explains all of the relevant data about childhood development or adult reaction times. Hence the push towards hybrid theories. But this post ridiculously suggests--on the basis of quotations from a popular science writer--that the jury is in, and naturally proves Ayn Rand wrong. This is unjust not only to AR, but to the scientists. In fact, much of the evidence cited in this passage is not only consistent with but OFFERS SUPPORT for AR's theory. First, the passage urges that children do not form concepts by "by subtracting or extracting traits but by generalizing on the traits they see." This is not unlike AR's point that abstraction is not a process of selective insight into metaphysical aspects in concretes (contra Aristotle and Locke), but a process of interrelating concretes with each other in order to make aspects of them evident, seeing differences in order to see similarities. The passage states "We do not possess concepts a priori; rather, the concepts we make of our experience are largely predetermined by neural structures. The human brain is concept-prone — but prone to conceptualize experience in certain ways." You may think this contradicts the "tabula rasa" view, but as I have stated REPEATEDLY in this forum, the tabula rasa view is a view about what knowledge we ACTUALLY have. This passage says we don't have concepts a priori, that we have to form them FROM EXPERIENCE. That is what AR says, and she would not necessarily disagree that we have a potential to form certain kinds of concepts before certain others. That is the entire point of her theory of hierarchy which is always disputed in this forum. As I have repeatedly urged, her view is that which concepts are formed first is determined by the nature of our senses and our brain, a structure which is, of course, innate. That does not mean we have innate actual knowledge, just an innate potential for a certain kind of knowledge. And this is what the research supports! The passage states "First, we do not perceive an object as a set or list of distinct attributes (such as having two squares, shaded, and one border), but as wholes (a particular person, chair, house)." Rand held this decades ago, before it was fashionable to believe. The passage states "Second, as a consequence, we do not naturally group objects in categories with sharp boundaries but in clusters that have a dense center and thin out to fuzzy, indeterminate edges, overlapping other categories...." AR agreed with this also, which is why her entire theory is based on abstraction by *measurement omission." According to that theory, the mind creates categorical differences by noting how some differences in degree are bigger than others. Similarity is just what a difference looks like when it is swamped by bigger differences. Her view is *premised* on the fact that we only observe differences in degree. So of course border line cases are possible. We decide where to draw the boundaries based on considerations of unit economy--a factor which, as you yourself recognize, is central to modern psychology! "Since the overwhelming majority of concepts are formed unconsciously and on the basis of intuitive prototypes, there's no need for definitions, which are mostly used to define word usage." This seems to imply that according to AR's theory, definitions are needed to form concepts. No textual evidence is cited in support of this contention, however--because she doesn't really hold it. She says that definitions are the *final* step in forming a fully valid concept, yes, but it is essential to her theory that concepts begin not with definitions, but with *perceptual similarities* (and which things we see as similar is, of course, a matter of the differences and similarities in the world, but also in relation to the innate structure of our brains). The authors say that there are no "invalid concepts"--just inefficient concepts and concepts of non-existent things. Of course the authors don't cite any of the quoted evidence in support of this view. One would think that the passage's admission that there are such things as inefficient concepts would tend to support AR's theory, since it is precisely the inefficiency that she cites in her allegation that a concept like "Blue Eyed Blondes, 5'11" tall" would be an invalid concept. These concepts are invalid from the perspective of the goals of cognition--the goal of knowing as much about the most essential features of reality as possible. The authors may disagree with the use of the *word* invalid, but then this is bickering over words--something good Popperians should not care so much about. The fact is that AR's theory predicts that some concepts should be more efficient than others, and the evidence cited confirms it! Never before have I seen critics try so desperately to turn supporting evidence into detracting evidence! The authors write "Since the mind forms most of its concepts unconsciously, on the basis of innate cognitive predispositions originally developed in the crucible of evolution, questions about the "validity" of concepts are misplaced." But no evidence is cited for how they know how MOST of our concepts are formed. At best they've offered evidence that our first-level concepts are predisposed to be of certain kinds of entities rather than others. But the truth is that MOST of our concepts are not first level. Do the authors seriously think that most of the scientific concepts used by physicists and psychologists--or even most of the financial concepts used by your average account--are developed in "the crucible of evolution"? That would be a rather astounding view, no? And yet AR's views about invalid concepts are precisely relevant to abstract concepts, not to first-level concepts. The concepts she criticizes as invalid are generally advanced philosophic concepts, not the kind you would expect to have any basis in evolution. If someone objects that we've formed certain concepts without any detriment to our survival, AR would say that it is precisely invalid philosophic concepts that are wreaking havoc in our culture today. The concept of "God," the concept "extremism," the concept of "equality," etc. Evolution may have given us a great many dispositions to form a great many useful first-level concepts, but it could only take us so far--and could certainly not cancel the mistakes we could make working with the materials of our inheritance. Evolution also gave us brains, but we used our brains to devise any number of horrible methods of oppression and murder. That doesn't mean we don't really oppress or murder. As for Popper and his views about definition, I will soon write a longer comment about the errors in his theory. And it's funny, because when the authors here talk about Popper, they speak as if the majority of PHILOSOPHERS would agree with him. But Popper's views have been widely discarded in the philosophy of science. More later. P.S. : David Kelley and Janet Krueger offered an analysis of the pros and cons of contemporary psychological theories of concepts in their article "The Psychology of Abstraction." 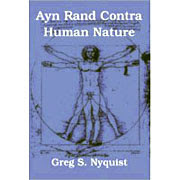 Criticisms they make there are mostly in line with the Objectivist theory of concepts. It's an older article, written in the 80s. But as I mentioned, most of the current theories were proposed back then anyway. Why do the authors of this site imagine that Objectivists have never heard of modern psychology? The prototype theory is old hat. I reread this and can't find much support for Rand's theory of concept formation. One of Rand's central points (which she says more than once) is that to form a concept, a child needs two of the same object (plus perhaps a "foil"). I've yet to see any evidence that this is the case. >I will no longer address myself to the authors of this blog, but to their audience. Well, Anonymous, the first question I am compelled to wonder is who are you? Seeing you want to take this site on in a serious way, and you imply your views have some authority as to what "mainstream psychology" would say, it would be helpful to know just what your particular qualifications are in that field, if any. Plus wouldn't it be better for you to be an entity with identity?... ;-) Greg and I use our real names, why don't you? As long as you permit Anonymous commentators, you'll have to keep wondering who I am. The different views of concepts I mentioned are easily found referenced in any cognitive psychology textbook or anthology of essays on concepts. See, in particular, Concepts: Core Readings, by Margolis and Laurence. Interesting. While Anon makes a very decent and understandable argument that wipes the Nyquist post right off the table, Greg and Daniel choose to quibble over Anon's real identity. That fundamental irrationality is characteristic of everything I have read on this site (maybe six visits via Google Alerts). Pick an arbitrary starting point, focus on non-essentials that relate to profoundly inadequate claims by others, argue that because Rand failed to focus on those non-essentials she has erred. Of course, for this to work it is necessary to avoid filling in such non-essentials in the context she provided. A context that enables honest and thinking readers to fill in those minor remainders for themselves. Honesty is recognizing that the unreal is unreal. Nyquist seeks the unreal to make an argument ...can anyone grasp the abstract concept "rationalization"? Anon I suggest you put your effort where the *audience* is more receptive. Would you travel to the Vatican to convince gathering worshipers that there is no God and that the Pope is a fraud? Ignore them and go to sites where the smart heads use their head constructively instead of destructively. Well if you just say that there isn't support offered by the pieces of evidence I mentioned, then I guess there's no support! Regarding the need for two concretes: Regardless of its limitation of the prototype theory, I don't even know that it says what you think it says. Yes, according to the prototype theory, our most basic concepts are like a single image of an object which we then use to compare to and classify new objects. But the prototype theory is a theory about how concepts are *represented* and *retained*, not necessarily how they are acquired in the first place. A prototype theorist could just as easily hold that the single prototype is acquired by drawing a kind of vague, average image in one's mind, after having seen many objects. It would be very easy to test the idea that children can form concepts from only one example. Take a child, take an object, put it in front of his face, and see if he walks away with a concept without any further exposure. Surely something so easy to try would be written up in the literature. So show me the literature. Besides, AR's views about the need for two units is not just an arbitrary guess about how many examples a child would need to be pounded over the head with. It flows from her understanding of the fact that there is no insight into essences of things--a point your evidence supports. Rather, we grasp the shape of a table as against the shape of a chair by seeing how chairs differ less from each other than they do from chairs (the difference in differences, again). There's no way to see how chairs differ less with each other than by seeing at least two chairs. >As long as you permit Anonymous commentators, you'll have to keep wondering who I am. >Interesting. While Anon makes a very decent and understandable argument that wipes the Nyquist post right off the table, Greg and Daniel choose to quibble over Anon's real identity. Well, I don't know about how good Anon's argument actually is, but it would be helpful to know if he is the commenter known as Same Anon Who Posted On The Topic Of Conceptual Development Some Time Ago (aka SAWPOTTOCDSTA), mainly because hopefully we won't have to go over points already made there. So they aren't needed to form concepts...but yes, they are? You don't seem to have this straight in your mind. Let me clarify it for you: Anon, of course words are needed to form concepts in AR's theory. If you haven't performed the final step, you haven't formed a proper concept (excluding those odd creatures "implicit" concepts). Don't you be giving me this swamps-of-the-not-quite-the-in-between stuff...;-) It's either formed or not. "...to know the exact meaning of the concepts one is using, one must know their correct definitions..."
See what I mean? Everything rests on the "truth" of "falsehood" of definitions. (sometimes she uses "validity" to give her arguments a bit of bogus logical fluffing) Nothing about mere "inefficiency" here: we're talkingtruth or falsity. Turns out there's no way to logically demonstrate who's got the "true" and "false" (or "correct" or "incorrect") definition! Bummer. That's right. Rand's claim in this regard, while superficially plausible, turns out to be simply wrong. It's what you call a fallacy. Look, Anon, didn't you get around to reading the Popper essay I pointed you to last time you tried to bring this up, "Two Kinds of Definition", that torpedoes this antique but still somewhat widely believed fallacy for all time? If you haven't read it yet, do. If you still feel you want to debate this point afterwards I'm only too happy to. >Besides, AR's views about the need for two units is not just an arbitrary guess about how many examples a child would need to be pounded over the head with. Now you've happened to cite what I regard as the most easily empirically testable part of Rand's theory. And guess what? I bet it would almost certainly fail this test. There's nothing strange about saying that a concept can be mostly formed but not fully formed. Just like a loaf of bread might be baked but not fully baked. Concept-formation is an organic process. Yes, the truth or falsehood of our conclusions depends on our definitions. That doesn't contradict that fact that concepts are first formed through perceptual similarity, and later interconnected into the full context of our knowledge using definitions. Once we have definitions, then we use them to know what we mean. But we know what we mean before we define a concept--otherwise we wouldn't know what to define. There are a thousand philosophical paradoxes that result without this fairly obvious point. First, it is highly debatable whether or not Popper's interpretation of Aristotle is even correct. Popper says that Aristotle believes that we acquire knowledge of definitions by a process of intellectual intuition into the essence of things. Of course none of these terms are Aristotle's. Aristotle speaks of grasping universals through *epagoge* (which is not "intellectual intuition," but something more like "induction). But grasping a universal is not the same as grasping the definition of a universal. *Nous* is the state that grasps universals and other "immediate principles," but it is not clear from Aristotle's discussion whether the immediate principles he has in mind are definitions. It seems more likely that they are principles like the law of noncontradiction. 1. (B) Extinguishing of fire belongs to (C) the clouds. 2. (A) Thunderous noise belongs to (B) the extinguishing of fire. 3. (A) Therefore, Thunderous noise belongs to (C) the clouds. This premises of this demonstration are, of course, not strictly speaking true, but were the best science of Aristotle's day. But the example shows that Aristotle thinks there is much more to definitions than Popper thinks. Here (B), the extinguishing of fire, is the middle term, the cause that permits us to demonstrate why an observable fact about thunder occurs: that it involves a noise in the clouds. We already know premise 2, that fire causes this noise, so the thunder's involving a fire explains its having noise. Thus we know that it is in the nature of thunder to be an extinguishing of fire in the clouds. That is, in other words, a definition of thunder. It is not reached through intuition but through a kind of demonstration. This pattern of knowing the essence of a thing is repeated throughout Aristotle's other writings. But it is not clear to me if Aristotle thinks that all essences are known this way. But Popper has better footing when he claims that Aristotle's theory (in De Anima) of how knowledge of *universals* are acquired is through some kind of intellectual insight (rather than the *essence* of universals being determined this way). And this brings us to the ironic part. Popper criticizes Aristotle's insight view for its implausibility--and the authors of this site suggest that Ayn Rand's theory shares its implausibilities with Aristotle. But this "insight" approach is precisely where AR departs from Aristotle, in the ways I have explained in numerous places in my comments already. Concepts are formed by an active process of comparing and contrasting objects. We do not peer into some isolated part of an object and draw out its "form." Instead we interrelate concretes to bring into relief certain aspects wherein they are similar. We then grasp that the similarity can fit along a larger range of possibilities--we "omit the measurements"--and in doing so we form a concept of the similar things or an aspect of the things. Yet from time to time I have seen authors of this site discount as insignificant AR's view that the problem of universals is epistemological rather than metaphysical. When she says this, she is telling us why Aristotle (and Plato, and Locke, and many others) are wrong about what universals are and how we come to understand them. What they are is simply a range of possibilities in concrete things. We come to grasp them by bringing that range into relief through active observation, selective attention, and projective imagination. That is how Ayn Rand thinks concepts are formed to begin with. Her view of how definitions are formed is--like Aristotle's view--a secondary though related issue. When Ayn Rand says that *essences* are epistemological rather than metaphysical, she means that they involve a special perspective on the units of our concepts--just like concepts themselves represent a special perspective on the units of things. To know the definitions of our concepts and the essence of things is just to know the fundamental distinguishing properties of a a class that best explain all or most of its other distinguishing properties. And here AR's view is very similar to Aristotle's. The "essence" of thunder is the distinguishing characteristic--extinguishing of fire in the clouds--that best explains (in this case, causally) thunder's other distinguishing characteristics. AR uses the example of "man": his rationality is one among many facts about him, but it's the one that best explains the other distinguishing facts. This is an "epistemological" aspect on man, because metaphysically speaking, all of man's traits are equally real. But only some of them can be used easily by knowers like us to understand the others. In addition to misidentifying Aristotle's view of definitions, Popper goes on to attribute an implication to that view that wouldn't necessarily follow, even if Aristotle held it. He says that an insight view of concepts implies *infallible knowledge* about the essence of a thing. I know of nowhere Aristotle says this, and perhaps it is a result of Popper's confusion between knowing the essence and knowing a universal (because there is less ground for doubt about whether one really knows that there are men--knowing their essence is another thing). Popper also implies that Aristotle's view suggests a finality that is not permitted by science. I don't know if Aristotle would ever permit the revision of definitions, but it is quite certain that AR does. She recognizes that precisely because of the fact that essences are epistemological, one can discover a fundamental about a thing, and then discover something even more fundamental that explains the first fundamental (and all the rest). This is her much-discussed example of how the child's definition of "man" progresses: from "thing that walks and talks" on through "rational animal." It is the same pattern in science by which scientists first define gold as a yellow metal, then as the element with atomic number 79, etc. Far from being inconsistent with scientific progress, AR's theory of concepts helps explain what makes it possible. This last point, incidentally, completely demolishes Popper's point that science makes no special use of definitions. His view is that science just describes facts and then we give some of them names for the purposes of brevity. This is a ridiculous view of science and it is stunning that an alleged scientific philosopher would hold it. Obviously science doesn't see all facts as standing on an equal footing--epistemologically speaking. Some facts help explain other facts. Science is the search for understanding, not just for big lists of facts. Scientists form concepts for those facts which they see as theoretically important, as helping to shed light on other facts. I don't know any contemporary philosophers of science who don't appreciate this on some level. For the same reason, definitions reflect *what* is important about these facts. Scientists conceptualize elements in the way they do, for example, because they see that ever substance we know can be broken down into definite parts, that these parts stand in certain mass ratios to one another, that they are relatively indivisible--and that the possession of one kind of indivisible part rather than another helps explain many of the macroscopic properties of matter. Definitions of elements in terms of their atomic number helps identify what about elements makes them determine these macroscopic properties. It is entirely false to say, as Popper does, that "definitions do not contain any knowledge whatever." Our definition of an element is not just a shorthand of a bunch of things we have happened to observe, but a summary of the result of a discovery about the nature of matter--a discovery we would not have made had we not first conceptualized a fact and then searched for its explanation. Yes, sometimes definitions are merely stipulative and do not identify an essence that explains other facts, but these are only definitions in a kind of derivative sense, because they're not definitions of *concepts* (which are forms of cognition that exist prior to their definition); rather they're "definitions" of mere symbols, as in mathematics. Finally, I should add a most important point against overall view about science and scientific reasoning that motivates most of what Popper has to say. When Popper wants to protect the progress of science, he is doing so of course because he thinks that progress means at best decreasing degrees of uncertainty, because "we have no proofs in science"; only math does this because it "gives us no information about the world." Popper's first view, which stems from his anti-inductivism, is based on a number of principles that have fallen into heavy disrepute in recent decades. Popper believes that scientists at best begin with arbitrary hypotheses and simply deduce observable consequences from them. They can only hope that their predictions will resist "falsification." This view that "hypothetico-deductivist" confirmation is the only such mode has been exploded, for it leads to numerous philosophical paradoxes (Hempel's paradoxes, Goodman's paradox of the grue) and skepticism (via the underdetermination thesis). Philosophers of science are by no means agreed on the best theory of confirmation, and most would (unfortunatley) still agree with Popper that there are no "proofs" in science--but many recognize the flaws of his H-D falsificationist approach. If more were to realize that rejecting H-D makes room for a kind of foundationalism about induction, there would be room for a better view allowing for *certainty* in science, where certainty is understood not as infallibility, but as an identification of the conclusion consistent with all of the known, relevant evidence. While I thank you for your lengthy post - and a handle at last! - I am puzzled as to why you think the scattershot issues you mention are relevant. You seem to be entirely missing the point, to be honest. You needn't worry over whatever the latest controversy over Aristotelian "nous" is, and whether Popper's interpretation agrees with it. No-one's even discussing this in relation to Rand. Neither do we need to digress OT for now into the merits or otherwise of Popper's hypothetico-deductive model, tho I'd be happy to debate it some other time. All you need do is demonstrate how you logically decide your particular definition of a word is the "true" one, as opposed to someone else's - how, as Ayn Rand put it, disputes over which is the "true" meaning of a word (or "true" definition of a concept) and which is the "false" one are supposedly resolved by logic, and not Rand's much derided mutual agreement or convention. I addressed all of the philosophical issues raised by Popper's article. There are no other arguments against the possibility of proper vs. improper definitions in the article. If there are and I have missed them, tell me! Otherwise, the example from Aristotle shows how it is possible. A definition is valid when it highlights an essential distinguishing characteristic, i.e., the characteristic that explains the greatest number of other distinguishing characteristics of a class of things. This is what makes for a better definition, as opposed to a definition in terms of non-essentials, one that notes only a superficial quality of some class. The paradigm would be man is the rational animal (good) vs. man is the animal with an opposable thumb (bad). As I've mentioned earlier, the reason that noting an essential characteristic makes for a proper definition is because this is the kind of definition that permits the use of a concept in the most economical way, the way that helps us recall and organize the most amount of knowledge about a class of things. So it is "valid" with respect to the goals of our cognition. I have made this point now on numerous occasions, and no one has explained what's wrong with it. Only a purely nominalist theory of definitions could contest it--and that is the theory I have called into question by critiquing Popper. So you'll have to defend Popper. P.S. : The idea that some definitions are better than others is hardly distinctive to Objectivism, and hardly even distinctive to Aristotle. Open up just about any introductory logic textbook--Hurley, Ruby, and many others--and you'll find a chapter on rules of definition. Usually the textbooks just emphasize rules for judging whether a definition is too wide or too narrow. But most that talk about definitions also include the rule of essential characteristics (and they usually include the "rational animal" example). None of this is surprising. Logic is a method we use to guide our thinking. We have a choice about how to form and define most of our concepts--so we should be sure to make the right choices. Some choices are better than others because of the cognitive efficiencies they permit. And don't let's argue that I am now playing with words regarding the definition of "logic," because you will be begging the question on several levels. >I addressed all of the philosophical issues raised by Popper's article. There are no other arguments against the possibility of proper vs. improper definitions in the article. If there are and I have missed them, tell me! Popper: "Since Aristotle, it has become widely known that one cannot prove all statements, and that an attempt to do so would break down because it would lead only to an infinite regression of proofs. But neither he nor, apparently, a great many modern writers seems to realize that the analogous attempt to define the meaning of all our terms must, in the same way, lead to an infinite regression of definitions..."
An infinite regress is, obviously, a situation that cannot be logically resolved as to truth or falsity. This is your problem, Anon76. >Popper criticizes Aristotle's insight view for its implausibility--and the authors of this site suggest that Ayn Rand's theory shares its implausibilities with Aristotle. This comment is befuddled. We've never suggested anywhere the "implausibilities" that Rand's theory shares with Aristotle are anything to do with "insight" or "intuition." She rejected this part of the Aristotelian doctrine, obviously, and we've never suggested otherwise. Our criticisms refer to logical implausibilities like the above she shares with Aristotle (and Wittgenstein too, amusingly, given her view of the positivists). >...an essential characteristic makes for a proper definition is because this is the kind of definition that permits the use of a concept in the most economical way,...So it is "valid" with respect to the goals of our cognition. I have made this point now on numerous occasions, and no one has explained what's wrong with it. All this is simply avoiding the issue, which is clear-cut. But, as above, this simply cannot be the case. Recall Rand is not talking about the "economy" of definitions or some kind of qualified "validity" in only certain respects. We are talking about truth and falsity, established by logical means. Of course, if you would like to deny that's what Rand really meant or believed was achieveable, I would be happy to accept that. It would be yet another of Rand's apparently unwitting concessions to skepticism, along with her "contextual" theory of certainty. >Only a purely nominalist theory of definitions could contest it--and that is the theory I have called into question by critiquing Popper. So you'll have to defend Popper. 1) "First, it is highly debatable whether or not Popper's interpretation of Aristotle (nous) is even correct." This is simply irrelevant. No one is accusing Rand of believing in Aristotelian intuition. This was, I thought obviously, not the point of the Popper citation. Anyway, this disposes of your first 6 paras. 2)The next two paras consist of a recitation of Rand's theory of concepts, which make no mention of Popper. How this is supposed to be a critique of his theories I don't know. 3)In para 9 you return to the "insight" issue, despite its irrelevance. You claim Popper misattributes to Aristotle the view that "intuition" gives "*infallible knowledge* about the essence of a thing" and you say that "I know of nowhere Aristotle says this..."
So it’s right there: Nothing can be more true than intellectual intuition. Or are you arguing now that Aristotle was a fallibilist, and as a result so was Rand? If so, it would probably then be productive to explore the fundamental similarities between them and their fellow fallibilist, Popper, rather than quibble over trivial differences. 4)>Popper also implies that Aristotle's view suggests a finality that is not permitted by science. I don't know if Aristotle would ever permit the revision of definitions, but it is quite certain that AR does. Yes, and Rand’s revisability results in the following oxymoron: a “contextually absolute certainty”. This is no different in practice from the standard skeptical formulation We can know P, but P may be false, as Fred Seddon has rightly pointed out in his otherwise highly erroneous article on Nyquist’s book. 5)>This last point, incidentally, completely demolishes Popper's point that science makes no special use of definitions. His view is that science just describes facts and then we give some of them names for the purposes of brevity. This is a ridiculous view of science and it is stunning that an alleged scientific philosopher would hold it. This is of course a ridiculous view of science and it would be stunning that an alleged scientific philosopher would hold it. So it is rather fortunate that Popper does not. In fact it is a completely erroneous description of Popper, making it rather too obvious that you aren’t all that familiar with his work, or are mischaracterizing it for some reason. Surely you should know that Popper’s view of science is that theories and testability play the critical roles science. You seem to have mistaken his view of the logical role of definitions within theories for Popper’s view of science. This is, as I have already remarked, rather like confusing his views on the importance of truth with his views on the importance of spelling. 6)>This view that "hypothetico-deductivist" confirmation is the only such mode has been exploded, for it leads to numerous philosophical paradoxes (Hempel's paradoxes, Goodman's paradox of the grue) and skepticism (via the underdetermination thesis). First of all, you seem to think there is such a thing as a Popperian “hypothetico-deductivist” confirmation. This is very amusing. Further, you don’t seem to know that Hempel’s paradox is a paradox of confirmation; because if you did, you would know that this, and Goodman’s “grue”, which he called “new riddle of induction” can hardly “explode” Popper, given he was neither a confirmationist nor inductivist! However, you are right to say that the “hypothetico-deductivist” approach leads to skepticism, but you go right off the tracks again by suggesting this is somehow a problem. For there is no contradiction in skepticism - for of course it may turn out that we discover skepticism is false; thus skepticism is itself a hypothesis, thus is logically consistent. This is skepticism 101, Anon. Where you been? PS: I am away this weekend, so do not expect any replies till next week. This will be my last post on this subject. I've got bigger fish to fry, and I suspect I'm wasting time here for a handful of skeptics. So by writing the following, I simply want anyone reading to know that there is so much more to Objectivism and to philosophy in general than these authors would like you to know. It takes but a few years of learning to realize there are solutions to the sophomoric problems trotted out by the hit-and-run critics. Serious thinkers have spent time working out these problems, and their solutions are not to so easily dismissed by three-paragraph blog posts and quick citations of essays by long-dead philosophers. Let me deal with two substantive philosophic issues first, and then clean up some derivative messes. 1. I'm surprised I missed the infinite regress argument, too. But geesh, if the most important part of that article was this one tiny paragraph, why tout the article as a whole as if it's God's gift to critics of Aristotelian definition? Why has it taken so much back and forth to get you to state for once your problem with definitions? I'll say it again: geesh. So, the solution. Popper says it's odd that Aristotle didn't realize that definitions are subject an an infinite regress problem, just like arguments. I think it's odd that Popper didn't realize that the solution to that problem is the same as the solution to the infinite regress problems for arguments, a problem which he acknowledges that Aristotle grasps ("Undoubtedly, Aristotle was right when he insisted that we must not attempt to prove or demonstrate all our knowledge.") By the same token, we must not attempt to define all of our terms--at least not at first. And in fact this appears to be something like to the solution to the problem Aristotle pursues in Metaphysics Z 10-11. Remember a few posts ago, I wrote "Once we have definitions, then we use them to know what we mean. But we know what we mean before we define a concept--otherwise we wouldn't know what to define. There are a thousand philosophical paradoxes that result without this fairly obvious point"? Nobody responded to it, but of course one of the philosophical paradoxes I was talking about was this infinite regress problem. The infinite regress is not a problem at all if we recognize that the first concepts we form are based on perceptual similarity--a point I keep stressing over and over again but which nobody addresses. So if, for example, we form "table" and "chair" from perceptual similarity, we can abstract "furniture" from these without the need for any definition. Once we have a stock of perceptual level concepts and more abstract concepts derived from them in this way, we can turn around and start to define all of these concepts by interrelating them to our other concepts. Remember defining is the final step, not the first, on the path to forming a concept. So we can define "furniture" as something like "movable man-made objects found in a home," by using other concepts that we obtained from independent observation and abstraction. "Motion," "man," "making," "object," "find" and "home" can all be gotten this way, without any need to define them first. If we don't need definitions of the constituent terms of a definition, there is no infinite regress. One point that might confuse some people about this topic is that AR didn't use the same solution to this problem employed by empiricists--the definition of everything in terms of primitive concepts of "sense data." (Our most primitive concepts are *not* concepts of sense data--like concepts of colors and shapes--but at least the empiricists who used this solution to the regress problem were on the right track, trying to start with the most primitive concepts.) She thought that first level concepts were ones like "man" and "table"--concepts of entities from which concepts of sensory qualities were later to be abstracted. As such they could be defined also. So if you see "man" in the definition of "furniture," you might think that understanding "furniture" requires an understanding of the definition of "man," a definition which by AR's own terms was possible. But this is not so. The fact that definitions of first-level concepts is possible does not imply that they are necessary for understanding the concepts in question. Understanding comes not from definitions, but from perception. That is possible in the case of "man," and ultimately with all of the other concepts in the definition of "table." So there is no infinite regress problem. The fact that we can eventually define these terms means only a promise of infinite progress, not regress. So, as you can see, AR's theory doesn't share a problem of infinite regress with Aristotle. You say you don't have a problem with AR's rejection of the "insight" view of concept-formation. If so, you shouldn't have a problem with her solution to the infinite regress problem, because the one flows from the other. Perceptual similarity reached through the active interrelation of objects is what makes understanding a concept possible in the absence of a definition. 2. You say that another "logical" problem for AR's theory is her claim that the truth and falsehood of definitions is decidable by logic, and you claim that what I have said about essential characteristics and their relation to unit economy is irrelevant to the "logical" problem. But you're just wrong. What would it mean to say that a definition is true or false? Well, the definition of man is: a rational animal. When you state a definition, you are stating a subject-predicate sentence: "Man is the rational animal." That's a statement that is either true or false, no? Even here the nominalist would agree, but would say that we simply observe rational animals and simply name them "man," so that the definition is true by fiat, not by any logical process. But if the points I've made about essential characteristics are true, then this is false and logic is involved after all. Because stating a definition is implicitly stating more than that simple subject-predicate sentence. To state a definition is to say "Man is BY DEFINITION a rational animal," or "Man is ESSENTIALLY a rational animal." So any considerations that enter into the truth conditions for definitions will also involve the truth conditions for being an essential characteristic. Even nominalists would agree with this point, and they reaffirm it when they argue that definitions are true *by fiat*--because they think that fiat is all that accounts for regarding something as essential or not. But if there is something more than fiat involved, they are wrong about what makes a definition true. In my example of Aristotle's demonstration of thunder--which you thought was irrelevant--I showed how a process of LOGICAL DEMONSTRATION was needed to recognize the essence of a thing. To know that the essence of thunder is the extinguishing of fire in the clouds, one must be able to give a demonstration showing how fire-extinguishment is logically connected to the other distinguishing characteristics of thunder (like its noise). I doubt that all definitions are reached when people are able to give *explicit* demonstrations like this, but any recognition that there is a relationship between fundamental properties and derivative superficial properties is in effect the implicit version of this explicit process. So yes, both inductive and deductive logic are needed to recognize the *epistemological* essence of a thing, and this recognition is part of the truth conditions for statements of definition. The reason we need definitions is their role in achieving unit economy. Since logic is concerned with guiding our thinking, our need for some such knowledge-condensing statements is already a part of logic. But to establish what the knowledge condensing statements are is a further act of logic, of the kind I have just described. Now to clean up some derivative issues. 1. You say Popper isn't misattributing to Aristotle the view that "intuition gives infallible knowledge of essences," and you produce a quotation that Popper gives from Aristotle to show that it is not a misattribution. But in producing this quotation, you're as confused as Popper is. The quotation is about "intellectual intuition," yes, but it is not talking about knowledge of essences! That was my original point! It is talking about primary premises in a demonstration. As I've already shown, Aristotle thinks definitions are the products of demonstration, not (always) the premises. Popper is just confused here. And he's further confused when he says that this passage shows that Aristotle thinks that the primary premises need to be "infallible." That word does not appear in the passage. He only says that the primary premises are "more true" than the demonstrations themselves, i.e., better known than. That is not infallibility. Whatever Aristotle thought about infallibility, AR certainly didn't accept it. Time and time again in ITOE, she says the reason we need logic and epistemology is precisely because we are neither infallible nor omniscient. The data of the senses itself is in some sense infallible, but that does not mean our conceptualization of it or judgments about it is. 2. You brush aside my statements about how the Objectivist view of definition explains the progress of science by raising a tangential point about the relation of this view to contextual certainty. First, this is a tangent and you are clearly trying to distract from the main issue, which is whether or not the Objectivist theory of definitions is consonant with science. But second, you're just wrong when you say this theory involves any contradiction. A contextually absolute certainty is not intended as a statement of infallibility, for reasons I've already stated. You can be certain about something and still end up being wrong, because all that certainty means is that you have reached a conclusion on the basis of all of the evidence known to be relevant. This is what most people mean when they say "yes" after you ask them if they are sure. They do not mean they are infallibly correct. That is an improper definition of "certainty" that does not arise from ordinary observations of the differences in the logical grade of our conclusions, and one that could only be dreamt up by philosophers bent on making skeptical arguments. 3. You criticize my description of Popper as one who says that "science just describes facts and then we give some of them names for the purposes of brevity." I'll grant that Popper never says that, but my point is that this is what his view of definitions *implies*. Because scientists are not just describing facts and randomly naming them, because they are searching for understanding and explanations, their use of definitions to accomplish this must involve more than simply naming strings of other words. But I should also mention that just because Popper thinks scientists also test theories does not get him out of the woods here, because testing theories is not necessarily seeking explanation or understanding. The fact that Popper's falsifiability criterion doesn't obviously take these goals into account is one of the main reasons he has been criticized. 4. Last of all, you say that the confirmation paradoxes wouldn't bother Popper because he's not a confirmationist or a inductivist. Maybe so. But that's missing the point. Because it is still Popper's view of what makes a hypothesis *testable* (a generic term that can be shared by falsificationists and confirmationists) that leads to these paradoxes. Given that falsificationism is obviously wrong as a description of what scientists are doing, given that scientists really are trying to confirm their theories--and more--the H-D view of testability is deadly in trying to explain how they succeed in confirmation. To the extent that Popper further popularized this view of testability, he's at fault for undermining our understanding of what makes science succeed. And if you don't think we should consider that to be a problem, just because skepticism is "logically consistent," I think you've gone off the tracks. This site purports to criticize Rand from the perspective of science. If you think it's acceptable to discard science in favor of skepticism, have it your way, but then don't expect anyone to take you seriously when you claim to defend science against Rand. >1. I'm surprised I missed the infinite regress argument, too. But geesh, if the most important part of that article was this one tiny paragraph, why tout the article as a whole as if it's God's gift to critics of Aristotelian definition? Oh dear, oh dear. Actually, Anon76, the "infinite regress" argument isn't just that "one tiny paragraph" that I quoted. In fact my quote isn't even a para from the essay, just a couple of sentences to direct you to it. The "infinite regress" argument, and Popper's nominalist answer to it, takes up roughly around 1200 words of the essay - 500 words longer than the average newspaper Op-Ed column! So, remarkably you "missed" an argument more than 1&1/2 times longer than an NYTimes newspaper column in Popper's essay, and to make matters worse, didn't even bother to go back and read it once I'd pointed it out to you - for if you had, obviously you would have not thought it was "one tiny paragraph." We are now faced with the somewhat comical situation of you attempting to refute an argument you haven't read. With a sense of inevitability we find that what little that is comprehensible in this convoluted attempt turns out to be a howler, even by Objectivist lights; for you now make the remarkable claim that "Understanding comes not from definitions, but from perception." It seems that as well as the Popper essay there are many large chunks of the ITOE that have not sunk in! Perhaps it is just as well you've decided not to post here any further, as my sincere advice at this point would be to stop digging...;-) Unless you are now going to argue that man's "understanding" is somehow different from "all of man's conclusions, inferences, thought and knowledge"! If so, I wish you the best of luck with that. Now turning to your 2. It starts somewhat more promisingly, as you do identify a subject-predicate sentence successfully: "Man is the rational animal." But alas by the very next sentence you are all at sea again: "That's a statement that is either true or false, no?" Because um, duh...not if the doctrine that we must know the "correct definitions" is applied! We'll never find out! For first we must establish what you mean by "rational" and "animal", to ensure you have grasped the "true" definitions - for all else supposedly rests upon this mighty task! - and of course "correctly" define the terms that result in turn, and so on into infinity. Your only answer to this is to claim that when Rand said the above quotes, she didn't really mean it. What she really meant to say was, apparently, that a lot of the time definitions - even of concepts like "man" - don't matter at all! All of which can only underline once more a fundamental ARCHNblog thesis: That Rand's epistemology is such vague, rambling, contradictory nonsense that not even her own followers are able to understand it. Finally, turning to your "derivative issues"
As to your 1., well obviously Aristotelian scholarship is arcane, with much controversy over even quite basic issues. In Popper's view, and the view of others, the "basic premises" of all proofs are essences, and are intuitively arrived at in Aristotle, as they cannot be logically derived due to the infinite regression of proofs. But anyway, such arcana is all irrelevant, because contra your original false claim, no-one here ever argued Rand "inuits" essences. Anon76: "A contextually absolute certainty is not intended as a statement of infallibility...you can be certain about something and still end up being wrong..."
3. is simply senseless. It seems premissed on the idea that Popper's theory "implies" that scientists are "just describing facts and randomly naming them." This is a very odd thing to think, but then your last post signalled pretty clearly that you know precisely nil about the subject - eg your classic remarks about the various alleged failures of his method of "hypothetico-deductive" confirmation - so I suppose we should not be suprised if you think other very odd things too. 4. is just as much a train wreck as the aforegoing. 1) Falsificationism is "obviously wrong"
From these premises you somehow attain the conclusion that this site's scientific criticisms of Rand are not be taken seriously. Dear oh dear. I'm afraid it is arguments like this that are not to be taken seriously! So that wraps that up, AFAICS. Look Anon76, it seems that in these increasingly hapless replies you are doing little to improve Objectivism's existing reputation for scholarship or argument. By the tone of your replies I'm guessing you are trying to make your way in the academic world? If so, I now completely understand why you might wish to remain anonymous! Are you aware of Jean Mandler's work on concept formation in infants? She has shown that infants first form the concept of animal and then differentiate it into sub-concepts such as dog, cat, etc. This is the opposite of Rand's theory. So, Rand was wrong about something. Of course, Rand was wrong about something! She was a human being who had a huge number of opinions on a huge number of topics -- it's inevitable that some of those opinions would turn out to be false. And of course, you yourself have admitted this. As you said, concept-formation is a difficult topic of research, and it is unlikely that any simple theory, Rand’s or anyone else’s, will fully explain what is happening. So, why do you Objectivists get in such a tizzy when someone points out that Rand was wrong about something? On a couple of other blogs, I managed to get some Objectivists really angry by politely pointing out that some dogmas of current “official” Objectivedom are simply false ( e.g., http://www.dianahsieh.com/cgi-bin/blog/view.pl?entry=4134065179291759383 and http://ergosum.wordpress.com/2007/10/16/the-target-of-ideological-outreach/#comment-20935 ). Why do you guys take any serious discussion of Objectivist ideas as personal attacks? I have known only one other group who exhibits this interesting behavioral trait – Christians. I responded to your post about Mandler. I'd lost track of that thread early on but went back and read your comment. Bob Campbell seemed to know more about the subject than either you or I do. I'll admit that my memory of Rand's view may have been clouded by recently reading Lisa VanDamme's comment on the subject. Jean Mandler’s work, and other work cited by Bob Campbell, seems to show that Lisa is wrong. Indeed, she is obviously wrong just from common sense. I have trouble telling quail from orioles but no difficulty telling what a bird is. At least in my own case, I did not build up the idea of bird from combining the concepts of different species, as Lisa maintains is true for mammals. I’ve just noticed, thanks to Google, that here on ARCH you yourself had cited a passage from Rand’s ITOE that seems to show that Rand was indeed smarter than Lisa. This does not surprise me – I think Rand was pretty bright, though sloppy in her logic. However, most of Rand’s leading contemporary epigones – Peikoff, Dave Harriman, Lisa, etc. – are not very bright at all. So, I accept your correction from the earlier thread. I should have said that the research in concept formation in infants is devastating to the views not of Rand but of many of her contemporary followers such as Lisa VanDamme. Now, have you had a chance to look into the information I’ve posted about ARI’s bizarre attacks on physics, something I do not think Rand was ever guilty of? Maybe we can form a joint alliance to defend the memory of Ayn Rand against the bizarre antics of her present-day followers.